Own a piece of UK cinema history! The UK's first IMAX cinema opened at the National Science and Media Museum (then named the National Museum of Photography, Film and Television in Bradford in 1983. The original IMAX screen was then taken down as part of refurbishments in 12015. This stylish, minimally branded monochrome courier bag is made from recycled material from the original IMAX screen itself! 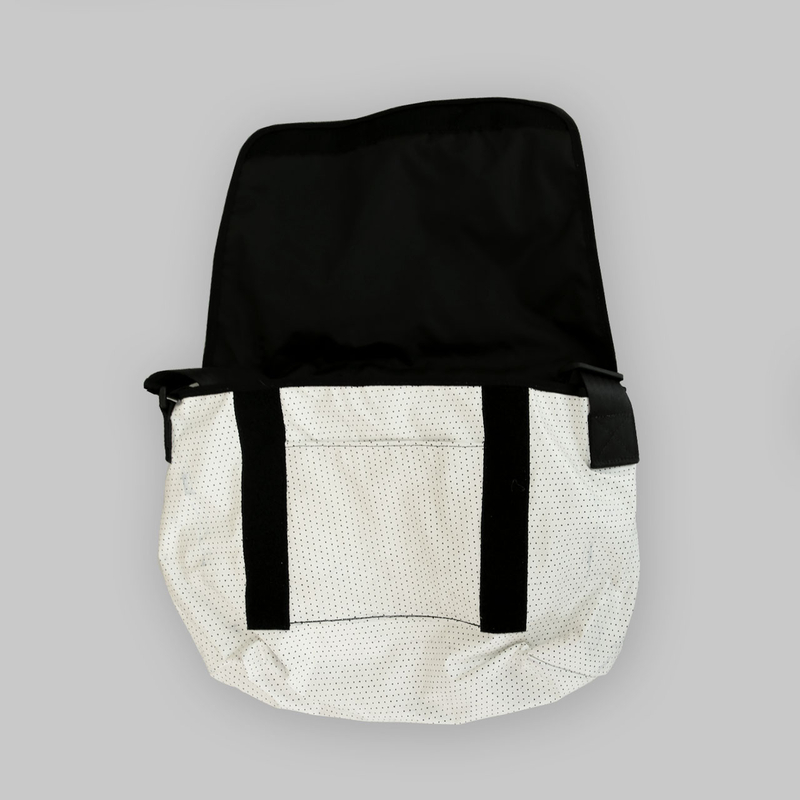 The main body of the bag is white waterproof plastic, overlaid with a fine black polka dot print and finished with black stitching and hard-wearing adjustable black nylon shoulder strap. The flap opening is secured with two heavy-duty Velcro fastenings. Please note that this limited edition bag is made from recycled industrial material, and hence may bear marks and signs of use from its previous life as a cinema screen.